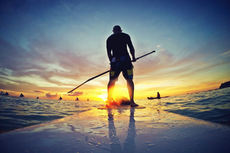 At first glance, stand-up paddleboarding, or “SUP” as it’s more commonly referred to, might not look that challenging. How hard could it be to balance on an oversized surfboard while casually paddling along, right? Sure, if you watch someone on a paddleboard, it doesn’t look like the sport requires all that much effort, but once you plant your feet on a board and head out to sea you quickly learn the effort involved goes way beyond what meets the eye. “I see people with a strong core whose legs are shaking in two minutes. Sometimes people who look aesthetically the most fit are the worst at it,” SUP world champion Annabel Anderson told Competitor. “It’s a real wake-up call. Don’t let this increasingly popular sport intimidate you, though. Once you’ve mastered the basics it can serve as an extremely beneficial component to almost any exercise routine. 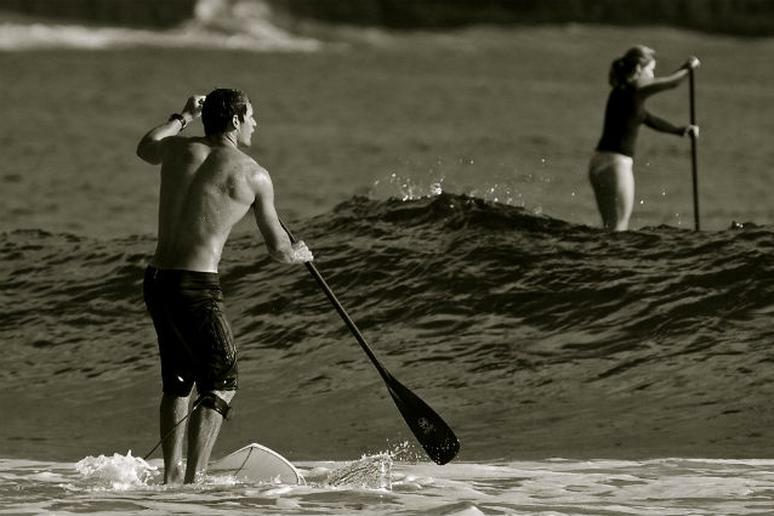 Here’s why SUP can actually be considered an effective form of exercise, rather than just a relaxing recreational activity. The level of intensity certainly depends on what type of water you’re boarding on, but even if you’re just paddling along over flat, calm waters your balance, strength and endurance will be put to the test all at once. Add waves to that equation and your workout will be increasingly more difficult. Click here to see more of the incredible fitness benefits you can gain from SUP.